I had the pleasure of meeting Mary Ann, the owner of Sapphire Wizard Fired Arts Store, at a Wine Walk at Three Rooms Gallery. 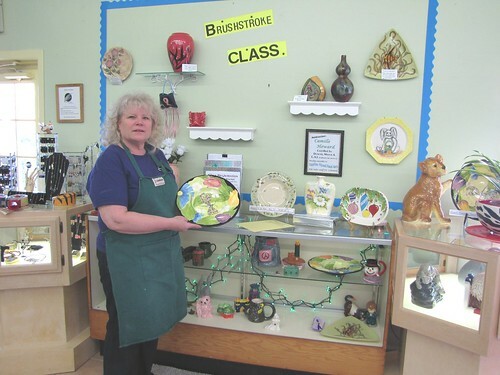 She has been a Ceramic Artist for over 30 years, she grew up helping her mom with her ceramic store. She knows the business from the ground up. Mary Ann not only paints ceramics, she creates the figures she fires to bisque. I stopped by her 2000 square foot store in the Gardnerville Ranchos, and I just loved it. I now sell my soap there. I also help her host birthday parties, clean the clay before she fires them, and hang out. Her husband, Ken is an engineer by day and clay artist by night. 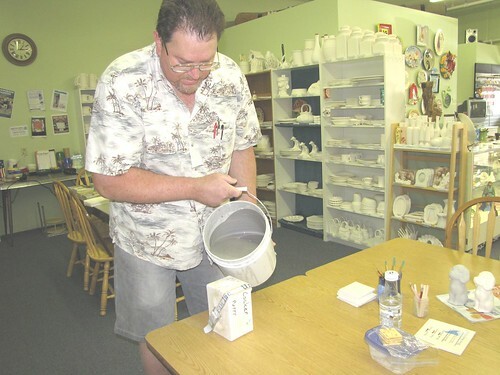 Mary Ann and Ken own over 1200 molds and pour their “paint your own pottery”. They start with a thin clay called slip. This is poured into a clamped mold, then left to coat the inside for 20-30 minutes. When the slip is poured out it leaves a thin layer of clay called a shell. When this clay shell becomes leather hard, about 1 hour, the mold is taken apart and the figurine is taken out and dried for a couple of days. These are then cleaned and fired. This is called bisque and it is now ready to paint. At Sapphire Wizard there are thousands of figures to choose from. They are also licensed to pour and sell Disney Characters. The price of the bisque and a small studio fee is all you pay. The studio fee covers any paints you need and the final clear glaze and firing of your piece. Sapphire Wizard Arts differs from most ceramic stores. 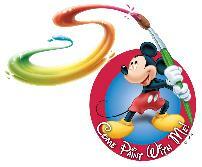 Here you paint at your pace. If you finish in 10 minutes, 1 hour, 3 days, it does not matter, you pay only one studio fee per piece. The studio is family friendly. Mary Ann also has a room for little ones to play while waiting for mom to finish up. There are toys to play with in a contained, safe area. There are on going classes being held at the store. 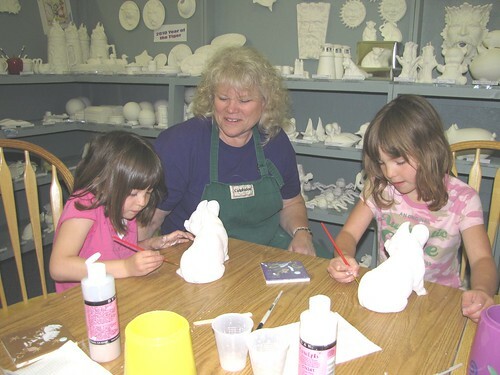 Camille Howard, local and famous Ceramic Artist, teaches brush stroke classes. There are also clay hand building, bead, and jewelry making classes. They have a bisque sale during the first week of the month, teachers get 15% off on Fridays, and Tuesdays are 2 for Tuesdays. Mary Ann has seating for 45 and has held many community functions in the store from baby showers, church get together, office parties, boy and girl scouts working on badges, girls (and boys) night out, and of course birthday parties. You can see more photos and get the latest information for Sapphire Wizard Fired Arts on their website Sapphire Wizard and their FaceBook. Check out the tiles going up on the wall at CC Meneley Elementary School. The students had the opportunity to do a self portrait tile that will be permanently attached to the wall. Mary Ann supports the local community. When you buy a raffle ticket from a school or club, you can be sure a gift certificate from Sapphire Wizard will be one of the prizes. They donate to the Fishing Derby, Bun co For Breast Cancer, Boys and Girl Club, Relay for Life, 4H Scuba Club, Douglas High School Volleyball, and many more. The store is located at 811 Short Ct. in the Gardnerville Ranchos, near the Pizza Factory. The phone number is 775-265-6972. The summer hours are Tue. thru Sat. 10am till 6pm. They are also open evenings by appointment only.